A Chinese White Dolphin nears the surface to take a breath. 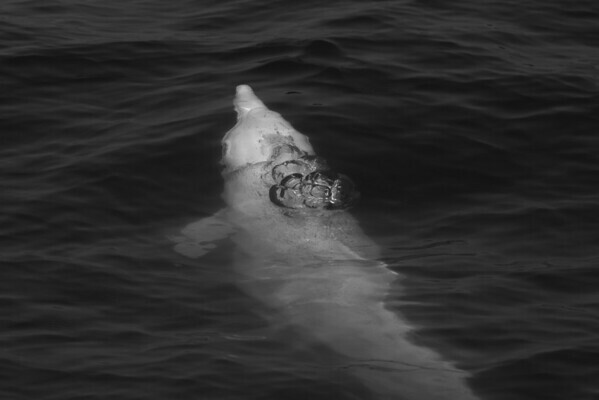 Sousa chinesis are not the only cetaceans in HK waters. Although a rarer sighting, finless porpoises and the occasional whale also make their appearance.